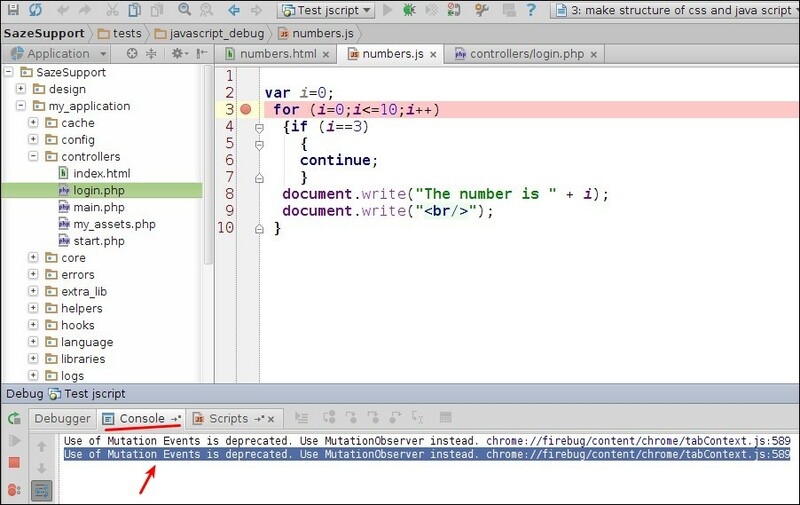 and doesn't show anything to something happen in phpstorm but as you can see all debug buttons disabled. 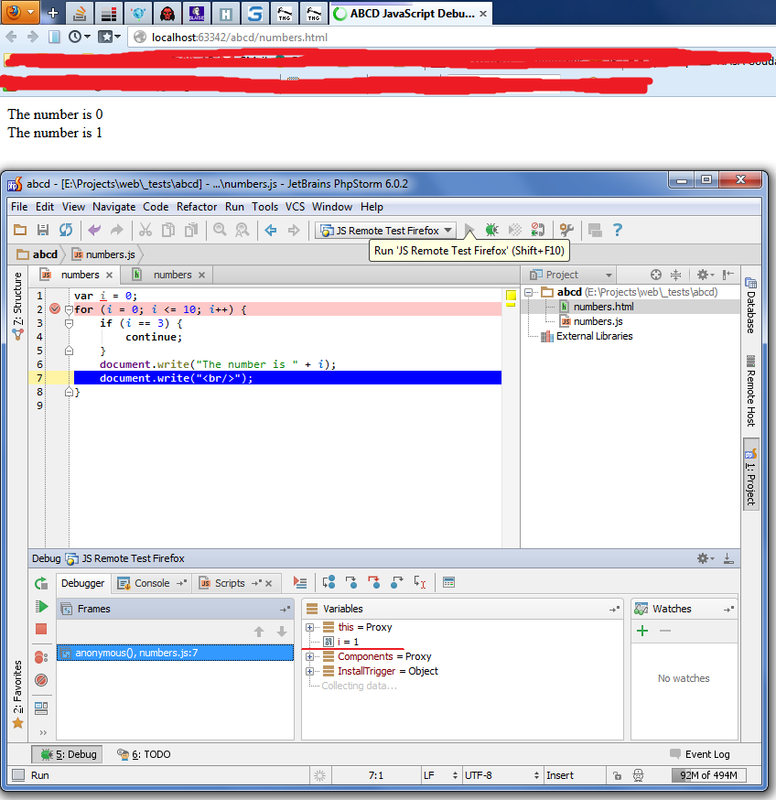 Please show you run/debug configuration details. Simple test project is also very welcome. This message/error comes from one of the firebug files (as file path suggests). You can alsways try Chrome browser instead of Firefox -- it is pretty much the same. this message has nothing to do with PHPStorm - this is Firebug issue. You must have the "Show Chrome Messages" or/and the "Show Chrome Errors" options enabled. so now what logs should i post ? So .. you have made a mapping for a single file (yes, a file) .... and expect this to propagate to other files (e.g. into numbers.js)? If so -- then I'm afraid you are wrong (it does not work this way, unfortunately) -- file is a file -- it does not affect other files (even if they are next to it). Right now you have only one .html file mapped. 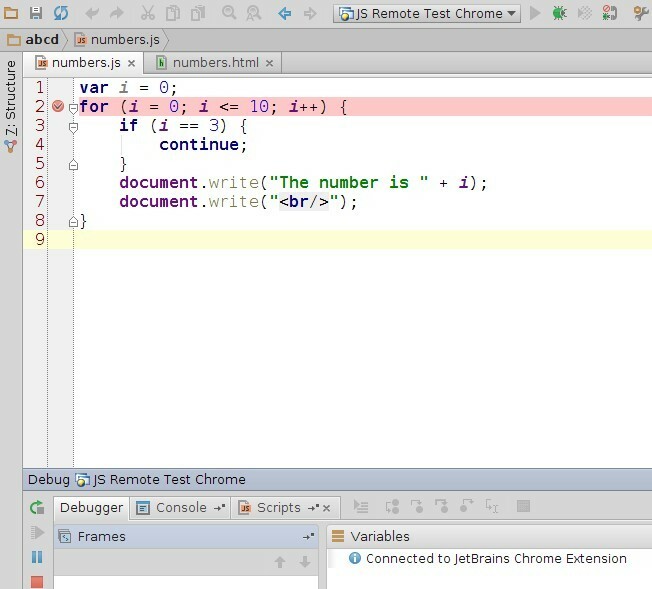 IDE does not know how number.js is mapped so cannot stop on those breakpoints. Sorry, but I do not understand what you are trying to say here. I still do not understand what you are trying to say here. I guess it is about variables (you still cannot see them). 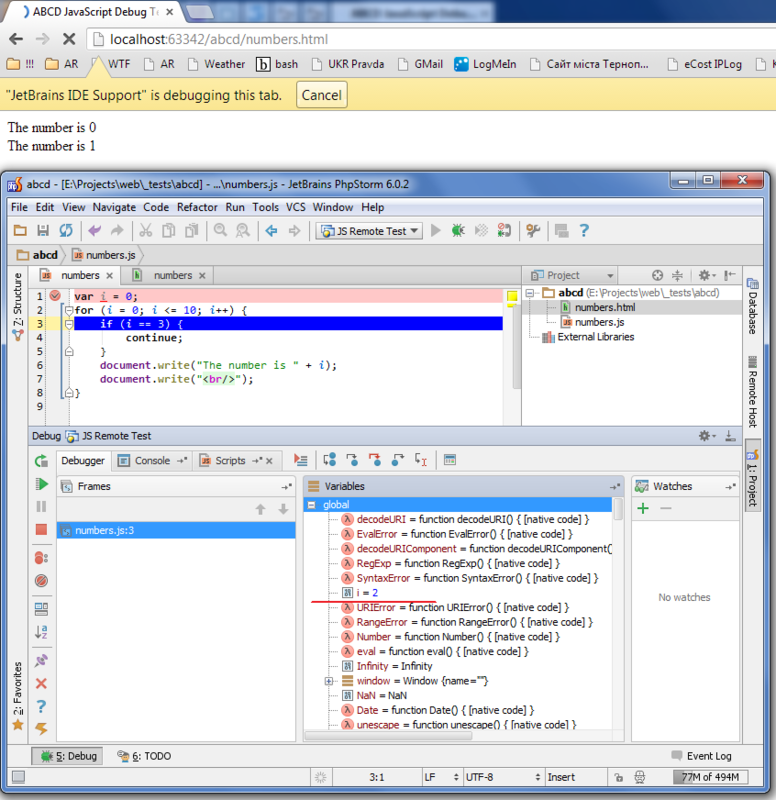 What is your IDE and version exactly (Help | About) ? 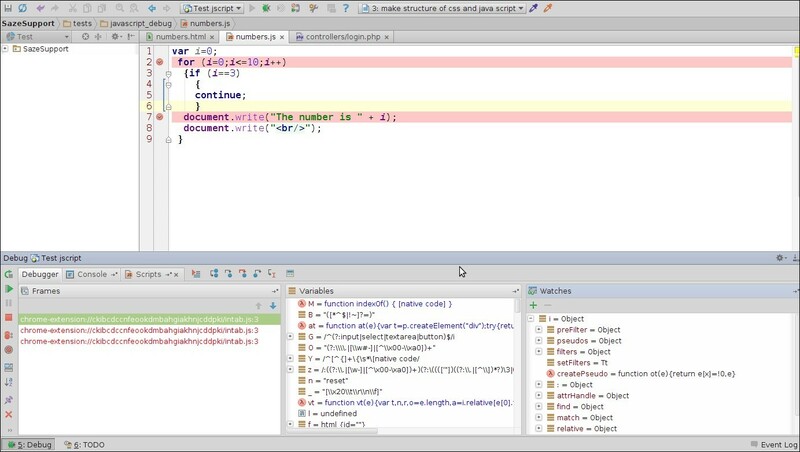 It has to be PhpStorm v6.0.1 (build 126.339 or newer -- http://youtrack.jetbrains.com/issue/WI-17044 ) or WebSorm v6. Possibly the internal http server is either sitting on different port (for whatever reason) or even simply unavailable (for unknown for me reason). Check what ports IDE is listening on (use your software firewall .. or netstat command to see what programs use what ports). Or maybe you have renamed the project or project folder? The URL is dynamic and must match the project name.